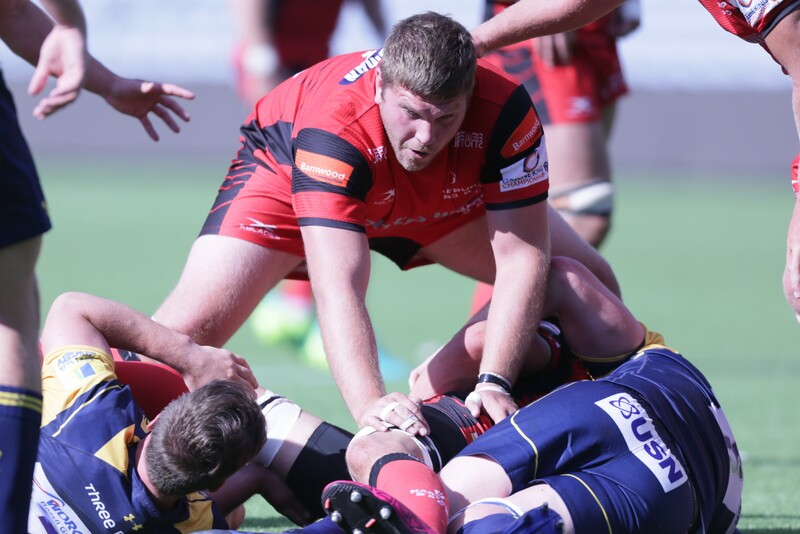 Experienced prop forward, Rupert Harden, will miss the next several weeks after suffering a depressed fracture of the skull during last Friday’s defeat at London Scottish. In a season in which the Red & Blacks have seen their squad ravaged by injury, the loss of a player with significant Premiership experience is one that the club can ill afford. The only silver lining to this particular cloud is that young tight-head, Alex Gibson, himself side-lined in recent weeks, was able to make his return in the game at the Richmond Athletic Ground. “Things just aren’t going our way”, said Head Coach, Mark Cornwell. We join Mark in wishing Rupert, who teaches in Hartpury’s A Level department, a speedy recovery. He is joined in the treatment room by centre Steve Leonard, who is also expected to miss several weeks after picking up a nasty foot injury late in the game against London Irish between Christmas and New Year. Hartpury RFC, meanwhile, will be hoping for a change of fortune when Doncaster Knights are the visitors to the Gillman’s Ground on Saturday (2.30pm).